This week, MetalRenard said he's back for a month, with DerVVulfman saying he's got a bit of catchup. There are bithdays a plenty that happened this week as we started this week celebrating the birthday of CherryDT, with MetalRenard coming by to spread birthday cheer. Later on, carfonu's and Jaylooker's birthday passed by, with Espon's just a day later. After that, we got to celebrate the birthdaysof Kain Nobel, EvenAngels and unwashedmendicant, and we ended this week with the birthdays of NekoMage and Lightness. It came to pass that the Razzies was on the mind of kyonides early this week, but the talk went towards snow between MetalRenard and KDC. And while kyonides presented everyone with shots of the pictureque lands around the Irazú volcano with frost accents, KDC's found himself not fond of the Playstation 4 system. If you chose to ask Bounty Hunter Lani "What are YouTubing", she uncovered a story about a game publisher that goes after indie game developers. After that, DerVVulfman shared a TV show's hilarious answer to the Zombie Apocalypse. And KDC recorded himself playing a Free-to-Play game with his own commentary within. At the end of the week, kyonides made a post about the Dark Future for Apple's programming language known as Swift. Herein, he has qualms about Apple's claim that their recent actions with this new language is meant to protect developers, and had thoughts about DMCA actions coming about. It's easy enough in Save-Point to find out What's up with your fellow RMers?, and DerVVulfman is still working on his Lycan ABS, having created a set of status effects that affect the player's button-mash time, and just set up the basics for a pre-attack stance system similar to a sideview system's casting delay script. 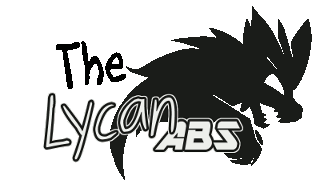 He's pondered new additions to show items picked up in the Lycan ABS in a pop up message. And at the same time, he worked on a script to make some status effects incurable. However, kyonides noted that his but KElemRES XP also supported that form of incurable state. Steel Beast 6Beets replied how he wished his incurable states to be added, by way of passive effects. And it just came to the attention of kyonides, DerVVulfman, KDC and Melana that the Enemy Transform event merely changes the enemy's graphics and doesn't change any stats, though Melana thought a game she worked on nine years ago did work differently. Just released and stickied, DerVVulfman made a topic to let the community know about PRODUCERS TO AVOID. He came up with the idea after watching a youtube video found by Bounty Hunter Lani, and the first producer that he posted was one that scammed at least two indie game developers of all their hard-earned money. After Starmage released Whimsical Misadventures of Cinderella, it took no time at all for him to notice that his friend HawkZombie had streamed a Let's Play video which he decided to share in three youtube videos. This week, KDC announced that he's taking a break from working on RPGMaker games, and went hunting for an engine for his newest venture, Fighting Festivalis. Meant to be a commercial project, he's narrowing down his choices leaning towards Unity and Unreal engines. After reading that Magi Entertainment is Recruiting for Postions, MetalRenard suggested that TsunamiJurai go shopping at NewGrounds. She already tried that to no avail, but had some luck with finding animators. If you thought the resolution setting within HiddenChest RGSS Player Executable by kyonides was limiting for RPGMaker VX users, you can now now choose between two. The system now includes two scripts, one to handle RPGMaker XP resoltution fixes and the other for RPGMaker VX resolution fixes. Not complete, but a good start. Still, please try it and discuss any bugs you may find. Early this week, DerVVulfman crafted a script so one may have Unalterable States within their RPGMaker XP game, states that cannot be removed or added except by predesignated script calls. Even healing items and events will not be ale to remove these states without assistance. If you need your heroes to be dependent upon refillable potions in your RPGMaker XP game, KItemRefill XP by kyonides may be your script of choice. Until now, enemies never had the ability to equip weappns. As of now, KEW XP by kyonides now removes that limitations if set before battle. Since its original release, kyonides updated the script with new options that also enhances the default enemy transformation system beyond mere graphic changes. A naughty little script by kyonides has now emerged. If you want to craft new status ailments that force an actor to waste his or her attacks and become combatively ineffectual, KChangeSkill XP is a script for you. Formerly under the name of KAutoSkill XP, this script can ruin your heroes lives. This week, kyonides didn't just create new scripts, but updated some of his older ones. Twice, he updated his KElemRES XP system to add new script calls, and later to ad new state percentages via a text file system. His Kolloseum States XP now includes features from his KEW XP script, and updated it a second time to add features from the system so even enemies can wield some powerful new abilities like casting a 'forget skill' spell on a hero. And lastly, kyonides updated his current KyoDiscounts system with a new parser script that reads template text files to be used during development and not used in your finished game, and a later bug fix not requiring any BBC TV sci-fi tools. A new story, kyonides presents the forum with The Day Some Moron Made a Revelation. And within the first chapter, he presents us with a world leader whom was chosen to support a social revolution. However, this leader's words drew silence rather than laughter under his statement that he had actually traveled to the future and returned. I wouldn't say I'm not fond of the system. More like I'm not fond of PlayStation Now, Sony's supposed answer to the Backwards Compatibility problem, which failed in my opinion.